Finding corporates who align their values with yours is a challenge every not-for-profit faces. It’s even harder when you’re a small fish in a very big pond. When reaching out to corporates we are surprised with the level of assumptions made about deaf or hard of hearing people. You guys have hearing aids and implants available – you don’t need us! If they’ve made it through primary school surely they’ll be right for high school! Surely deaf teens simply have teen problems so they should be able to thrash their issues out with their friends! Being small, and relatively unknown. ie I’ve never heard of you, you mustn’t be very good. What keeps us going is our purpose; we are founded by deaf people, and run by deaf people, for deaf teenagers. encouraging them and providing community support. My family try to understand and accept me, but it’s harder when I’m at school. Despite my tiring efforts to hear and speak well, throughout most of my schooling I felt isolated and alone as a hard of hearing person. Being able to socialise with other deaf people really gave me confidence. Your donation will go towards the administration and running of our many programs, Australia-wide. A unique two-part program that helps kids who are deaf or hard of hearing to make the transition from Year 6 to high school. We cover a range of things, from making new friends to dealing with bullying and simply finding your way round. These one-off workshops all focus on a different thing – from film-making to treetop adventures. The common theme? Fun! 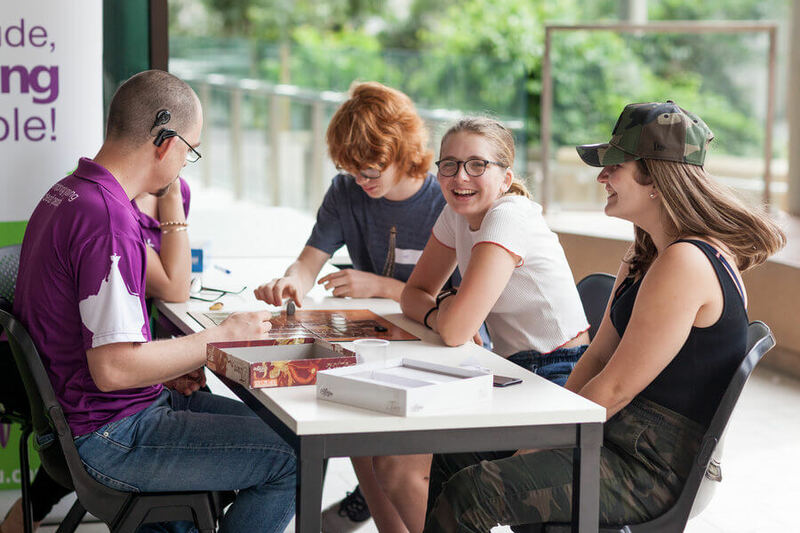 As well as taking part in interesting activities, participants also hear from a guest presenter and connect with mentors as part of the experience. 2018 saw our first Hear For You Film Festival open to deaf and hard of hearing teenagers all over Australia. Whether participants are a pro filmmaker or one who is just keen to get started, all are welcome to enter the competition! We offer an annual training conference for up-and-coming mentors to receive training and support to improve their personal and mentoring skills. Services, time or product offers. We understand that not all companies can help financially, so we greatly appreciate offers to donate skills and time to help us achieve our goal. Call David Brady, CEO, on 0407 722 985. Alternatively, you can donate directly here.